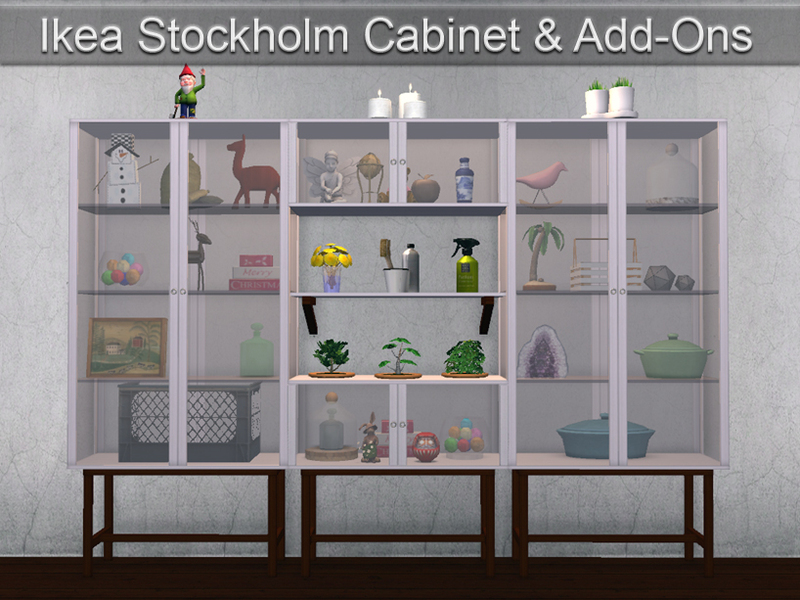 The cabinet was originally requested by Christobal at Black Pearl Sims. The rest of the set was knocking around in my mind, just begging to be made. 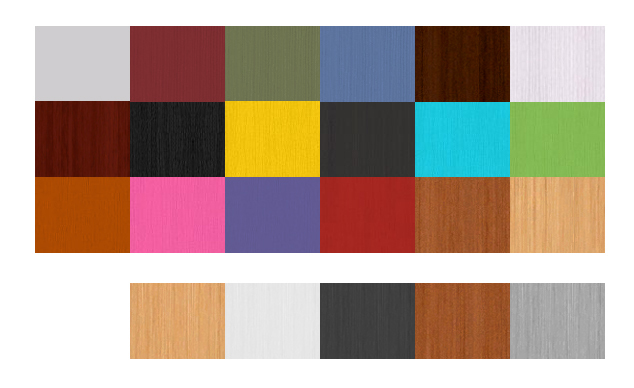 Since I know me and just how annoying I can be, I decided the rest of the set needed to be made. The CABINET is the MASTER of the set. You *must* have that file in your game for the others to work. 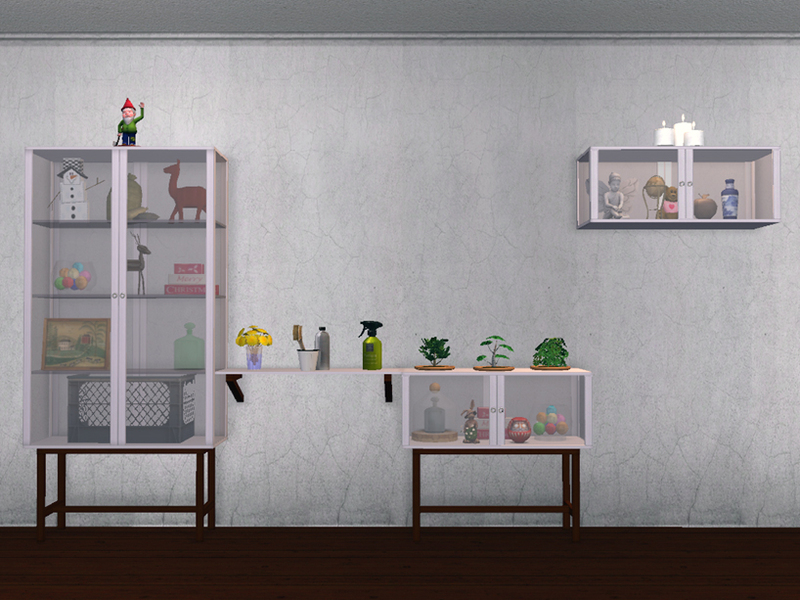 The shelf can be shifted if you have Apartment Life. It's positioned to be at the same height as the shelf/shelves in the cabinet. Shifting up 4 times will put it at the height of the next shelf. 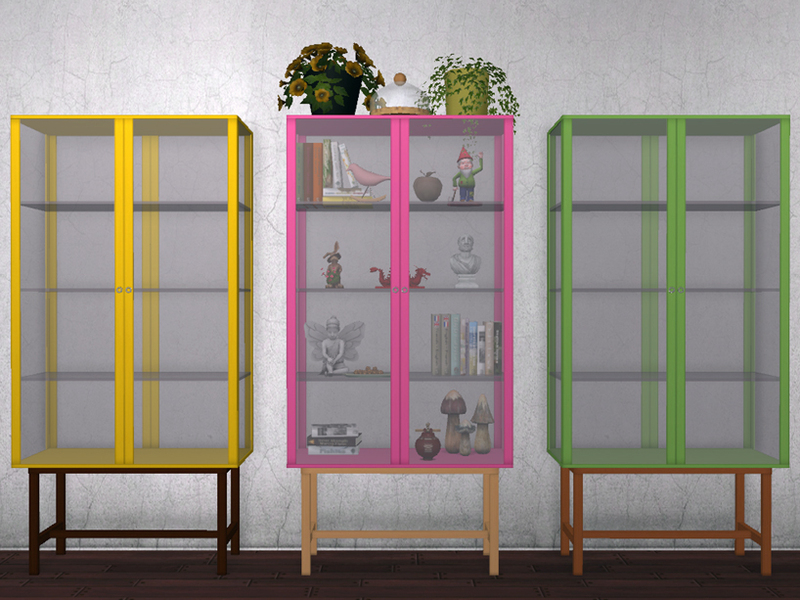 If you DO NOT have Apartment Life - the shelf will only be in 1 position, which is the same height as the last shelf of the cabinet. 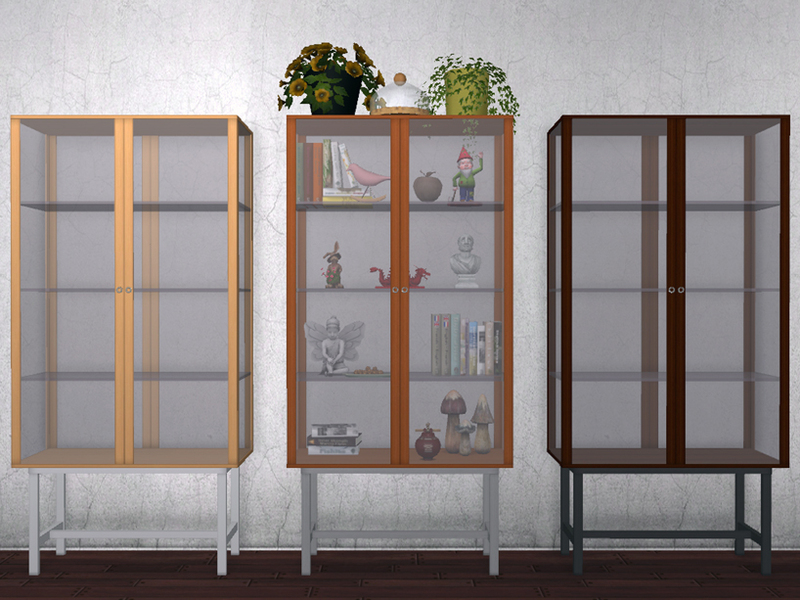 IN CASE YOU ALREADY HAVE THE CABINET MESH FROM MY TUMBLR OR BPS: The cabinet in this download is the same mesh BUT it is a little narrower to make putting them side-by-side more seamless. You can just let the new mesh overwrite the old. 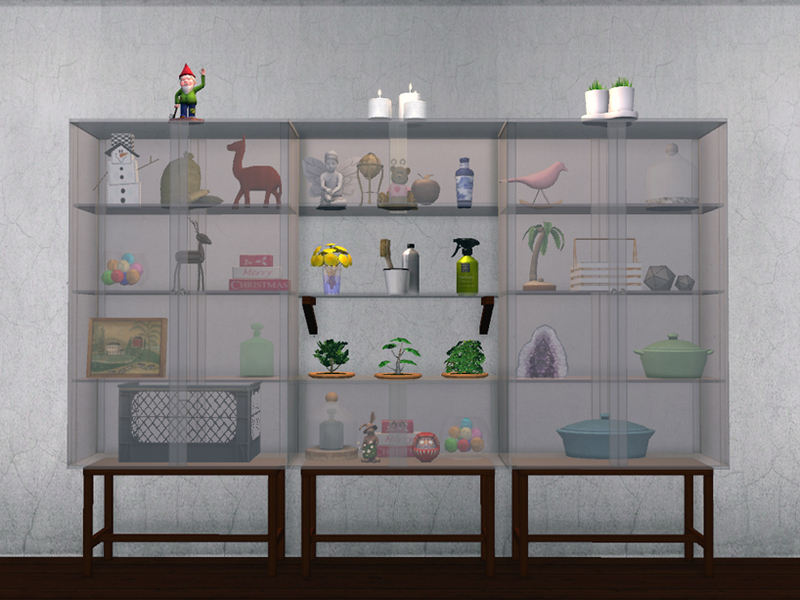 All meshes can be found in Surfaces>End Tables for 145, 115, 85 and 55 Simoleons. There is a collection file included in the download. Happy cluttering!! 226 people have said thanks to mustluvcatz for this download.